Bring a coat to donate and receive a $0 enrollment fee! Sign up for a Year Membership and Receive a $50 Gift Card! PLUS Be entered into the Monthly Drawing for It Being COMPLETELY FREE. When you swap out your old gym’s key tag for ours, you’ll get a FREE month! We’ll also match any other gym’s membership prices. We offer an Exercise Program 3 days a week geared for seniors to keep your body moving. Personal Training Package w/Jesse.. 2 training sessions a week for one month. Half-Hour Sessions for only $50 a week or $200 a month. 90 Minute Training Sessions. Class Starts Soon. Fight Back Today! First Month Free. No Contracts. Ages 4-14 years. Join us on Fridays & Saturdays. Trainers are Derek and Yvonne. Whether its losing weight or bulking up, our mission is to teach you how to use your muscles naturally to achieve your personal goals – and ultimately create a healthier you. Lets make today the day! Here at Defined Health and Fitness we are going to help you get off on the right foot. Upon signing up, all members will receive a complimentary training session & nutritional consultation. 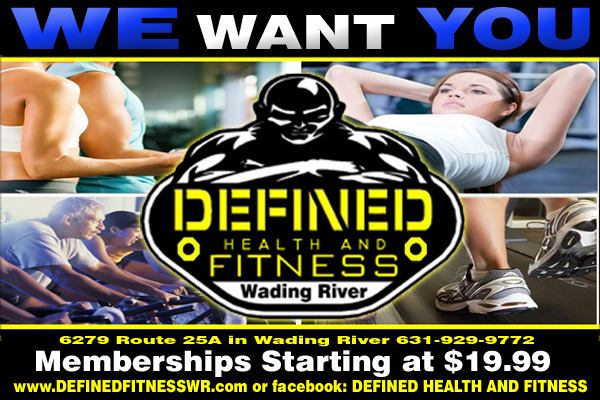 Here at Defined we offer over 40 fitness classes weekly. Each one is designed to give you a full workout that is unmatched in the gym industry today! Click through to our class calendar to learn more. Defined is different. We combine basic nutrition, cardiovascular, and proven fitness training methods to create a trainer/client relationship that is unmatched in the fitness industry. Improve your fitness levels, increase energy, reduce stress, and increase your flexibility. Please “Like” us on Facebook to get up to the minute updates on weather conditions, class times and special events. Click Here! Membership is as low as $19.99! We are confident you will love the time you spend with us. 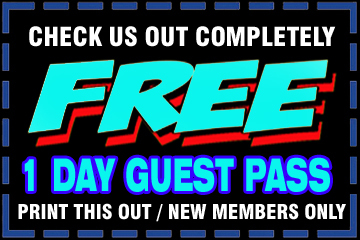 Please come in and ask for our complimentary Guest Pass.